Branding policies are still rare in the technical field; however, Lapp has encouraged them right from the very start. When Oskar Lapp invented the first cable with colour-coded wires in 1959, he named this innovative product ÖLFLEX® and in so doing also created a catchy brand name which has accompanied the product during its great success. Since then, Lapp has carried out a consistent branding policy for each of our product lines. However, this is driven by more than just mere desire to establish an easily recognisable product name. Strong branding gives our customers the peace of mind that each individual component allowed to carry the brand name fulfils the same high expectations. 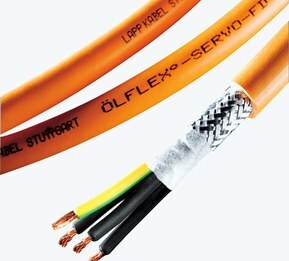 Today, the Lapp brands are some of the best-known in the cable technology field and have earned an outstanding reputation as a premium brand. All over the world, they stand for the values which we and our customers consider paramount: quality, precision, and reliability.